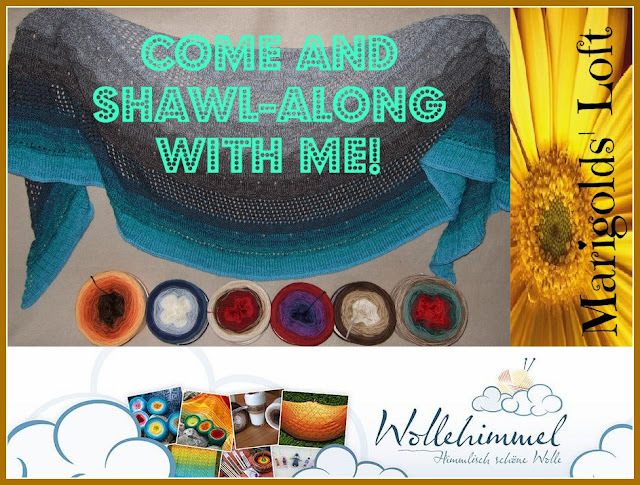 I would like to officially invite you all to come on over and join in my shawl-along KAL that will begin on the 2nd November 2015 and will run until 13th December 2015. What will we be knitting you ask? Over the weekend, at the Festival I met Andrea from Wollehimmel in Germany. 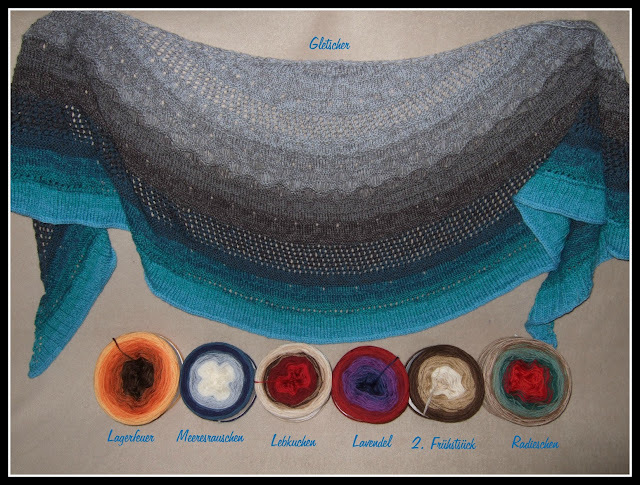 Her yarns are gorgeous gradient yarns that have been wound with various shawl projects in mind. 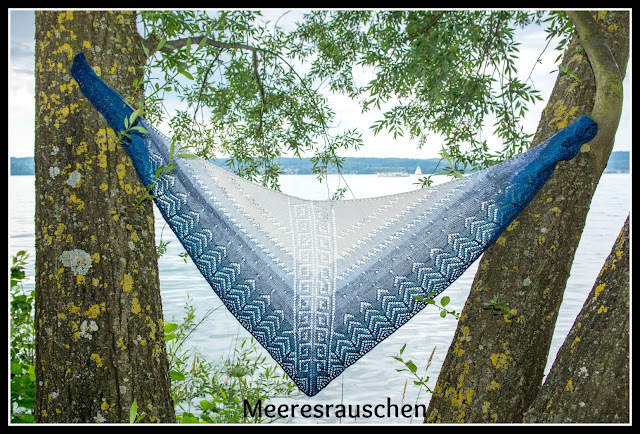 She had knitted a version of the Misae in her Wolke 7-Gletscher (see below in the next image :)) and I fell in love with it instantaneously. 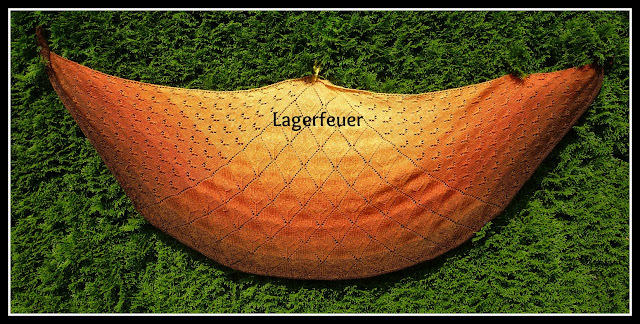 I thought that this would be a great idea for a KAL! The names of her yarns are so fitting too! 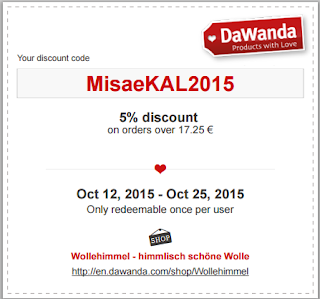 Andrea has been so good as to offer all of you wanting to take part in the KAL a discount on her Wolke 7 Yarn. 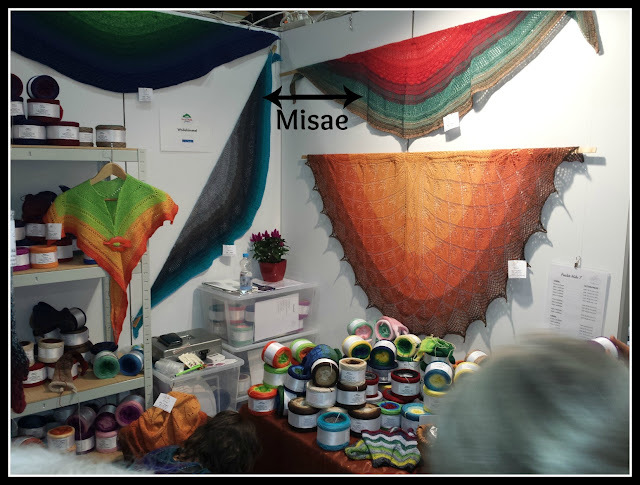 To grab yourself your cake of incredible Wolke 7 yarn follow this link and be sure to enter the discount code: MisaeKAL2015 at Check-out! 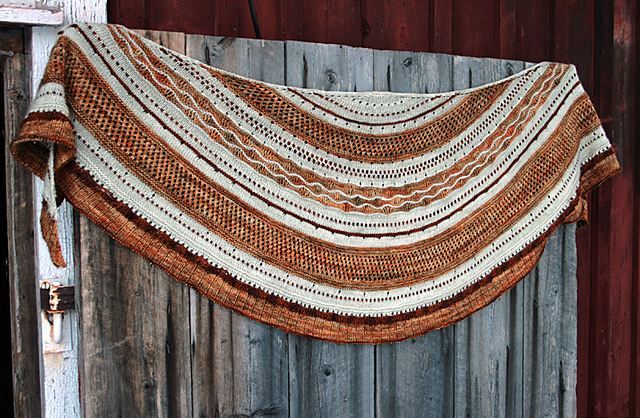 USA and Abroad - Please note: Those of you who are purchasing from the US and abroad need to order your yarn asap from Andrea to receive it before the KAL begins. Be aware that it is possible to experience postal delays for which she is not responsible! 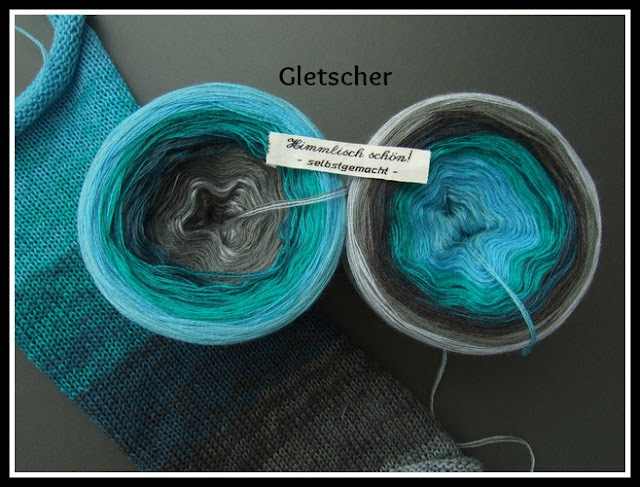 If you speak German and would like to knit with us come along, if you have trouble with understanding English, I will open a German speaking thread for you to chat along in German! There will be something to win at the end of the KAL too - Whoo! I can't wait to see all of your amazing shawls.